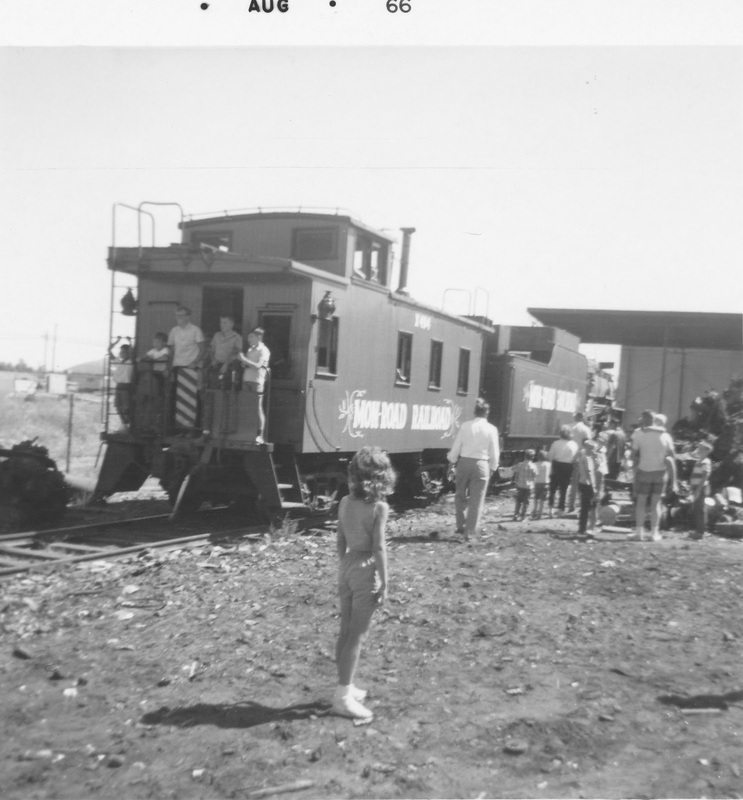 Photos courtesy of the GNRHS Archives, Stevenson Collection. 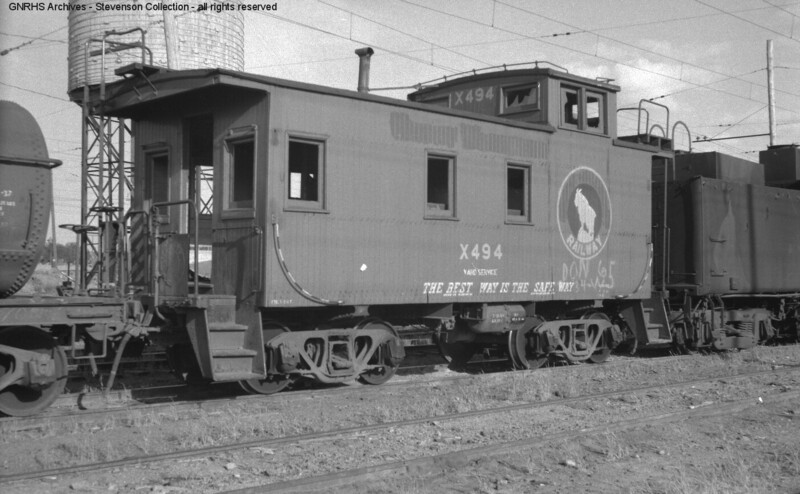 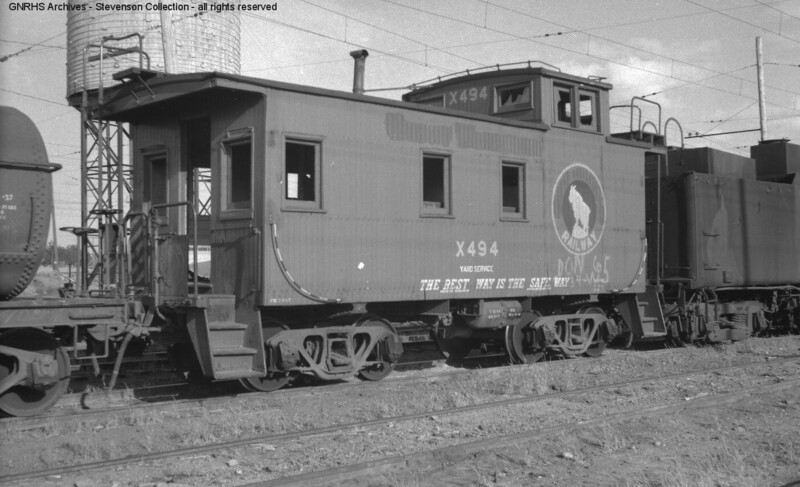 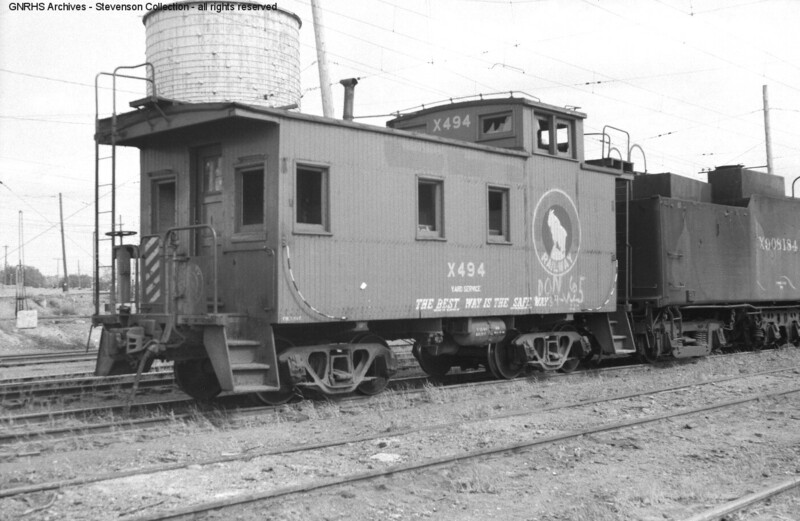 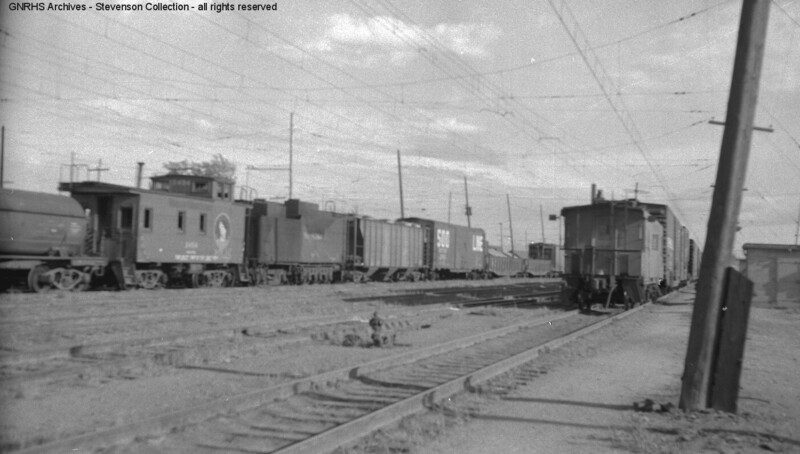 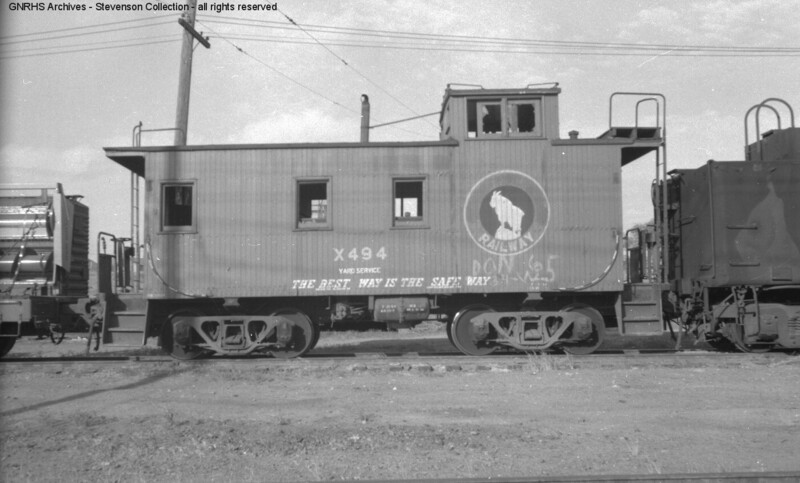 Monte Holm acquired a caboose from the Great Northern for his own railroad. 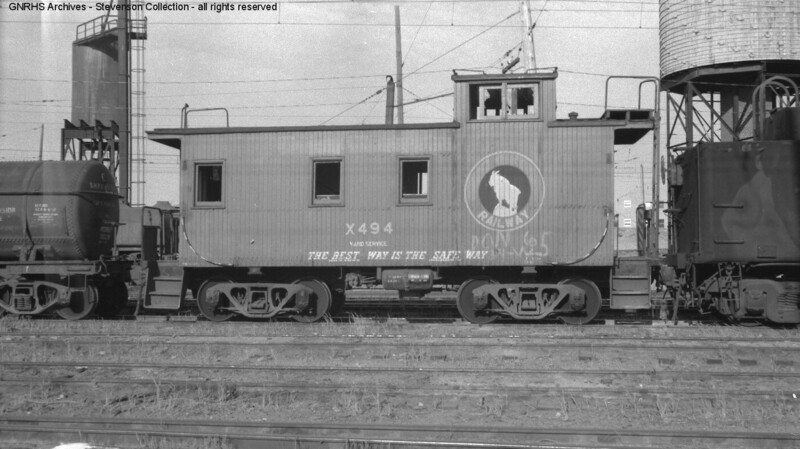 It was delivered to Moses Lake via Othello in 1965, where Wade got photos of it. 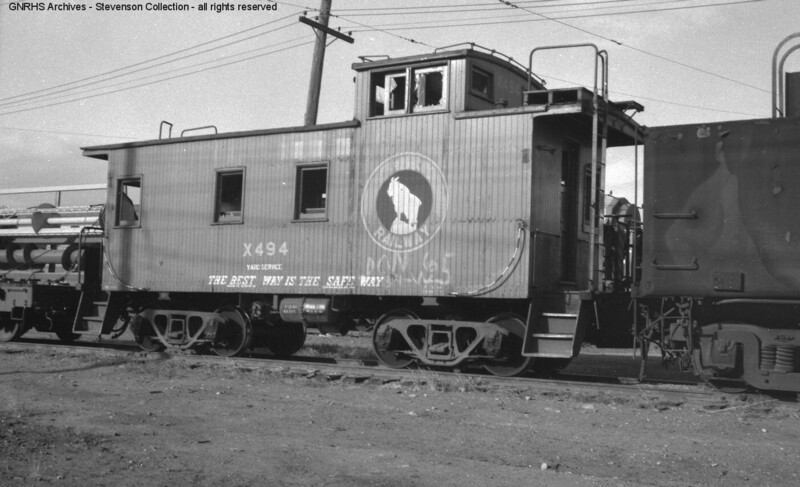 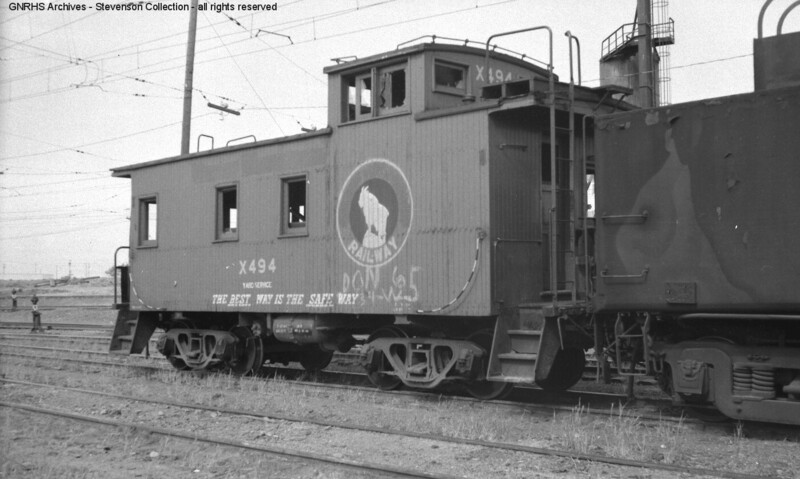 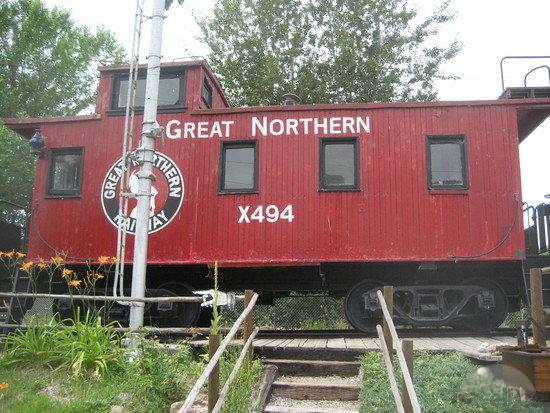 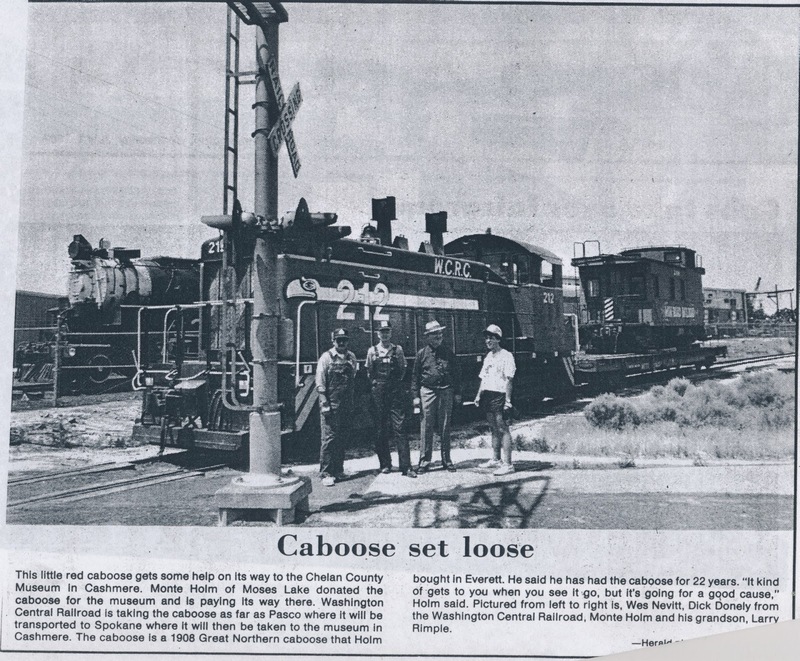 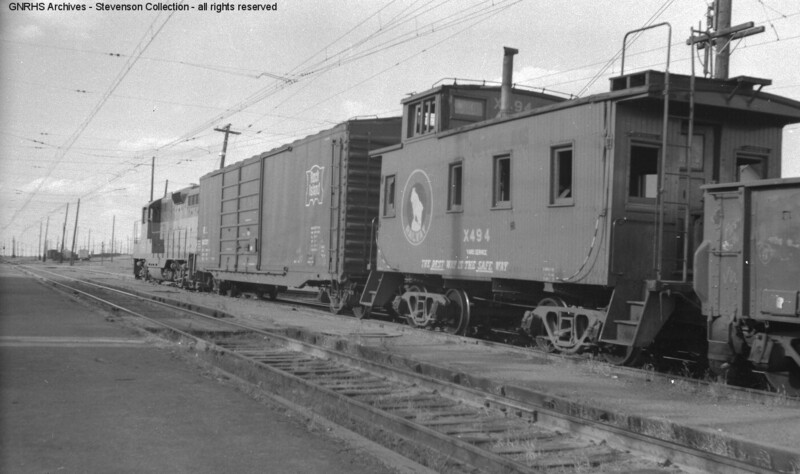 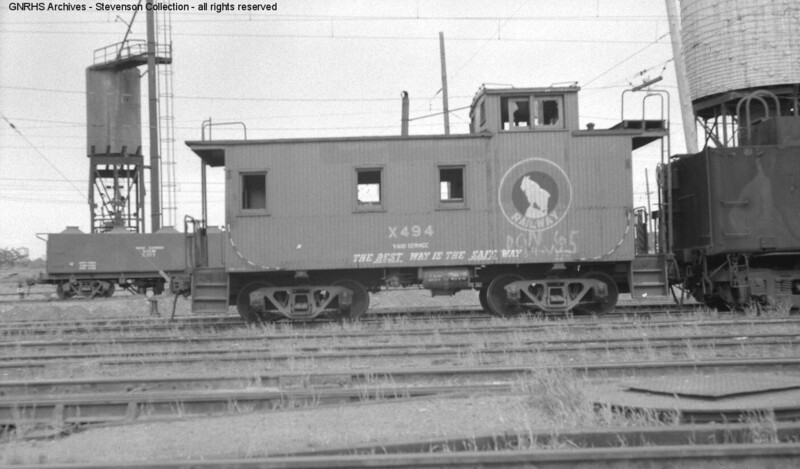 The caboose was later donated to the museum in Cashmere, WA, who repainted it into GN colors, where it sits today. 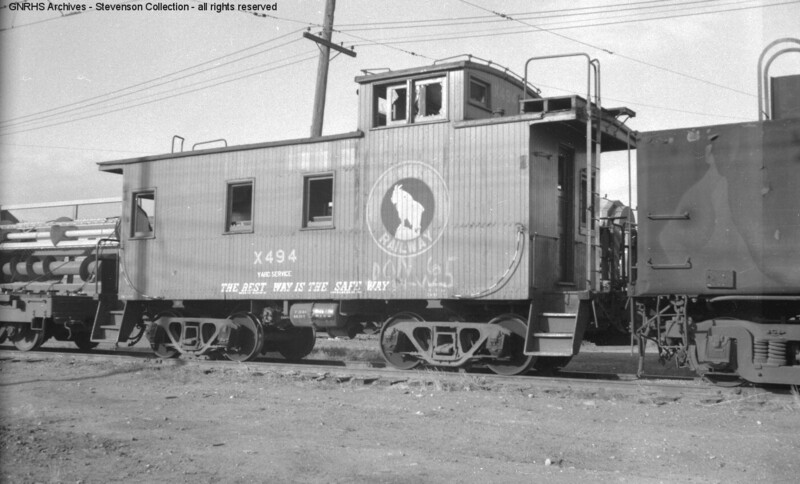 As it moved out to it's new home in Cashmere. 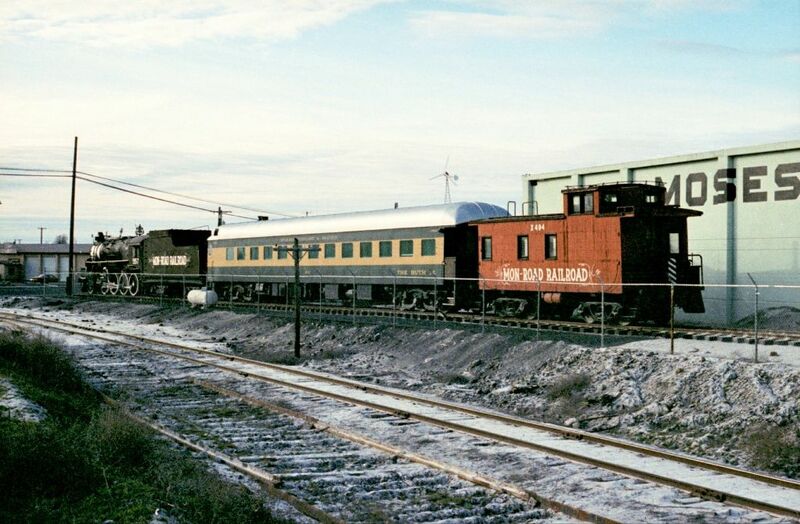 As it looks today at the museum in Cashmere.